Planning to immigrate to Hong Kong? 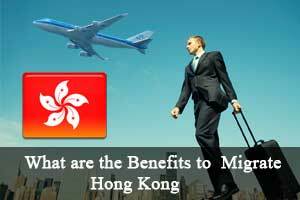 Thinking about the benefits, you could get by immigrating to Hong Kong? Read on to find more about Hong Kong immigration. Hong Kong is one of the Special Administrative Regions of the People’s Republic of China and is considered as the best place to immigrate across the globe. It is one of the leading economies in the world and welcomes a great number of immigrants over each year. There are various reasons for people to choose Hong Kong as their immigration destination over other destinations in the world. With growing number of industries and booming economy, Hong Kong offers enormous employment and business opportunism to potential immigrants. The country has one of the open and vibrant economies across the globe. People who wish to immigrate to Hong Kong can be benefited from its effective banking system, anti-corruption system, good legal system and foreign exchange reserves. Known for its wonderful skyline, picturesque harbours and tall buildings, Hong Kong is one of the most beautiful places to immigrate. People who wish to immigrate to Hong Kong from India can benefit from its rich historical background and culture. Being one of the vibrant economies across the globe, Hong Kong is equipped with all the advanced facilities. People who wish to immigrate to Hong Kong can take advantage of its good transportation facility and railway system. Unlike other top immigration destinations, the country has a liberal immigration policy in place to encourage qualified overseas skilled professionals and entrepreneurs who wish to migrate to Hong Kong. Also, Hong Kong immigration policy allows people from 170 nations and territories to enter the country without a visa for 180 days. To encourage skilled immigration to Hong Kong, the government has introduced quality migration scheme. Under this scheme, people who wish to immigrate must qualify in Hong Kong immigration points calculator. Individuals who immigrate to Hong Kong from India can benefit from its low cost of living. The country offers everything starting from travelling, telecommunication, entertainment, medical and food at low prices when compared to other top immigration destinations. The country offers free education to the dependent children of immigrants for nine years. What are the Requirements of Hong Kong QMAS?